Dr. Paul Hill welcomes representatives from N3, the newest company to locate at the West Virginia Regional Technology Park. 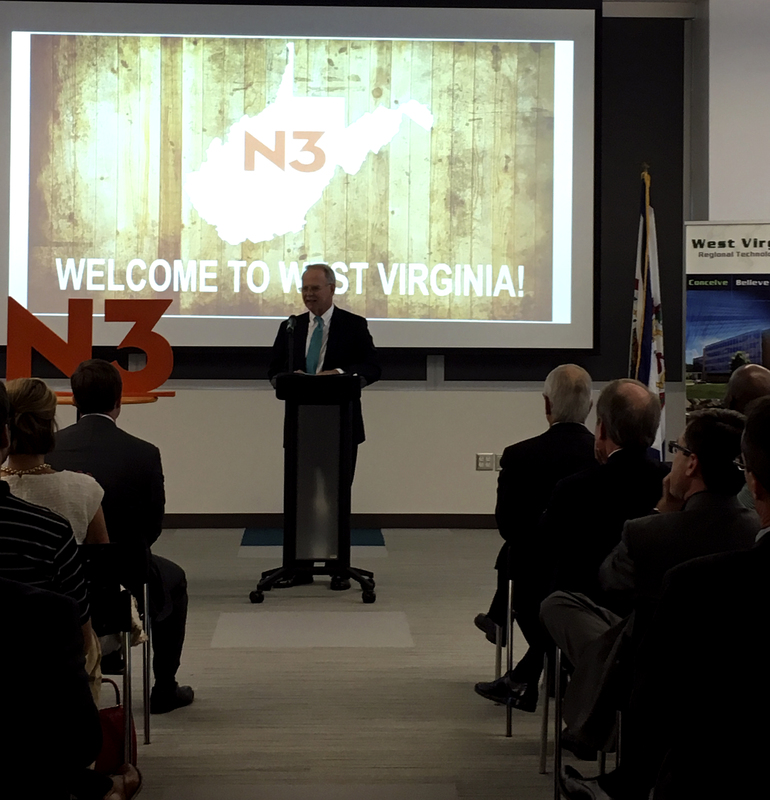 CHARLESTON, W.Va. – “On behalf of the state higher education system, I am so pleased to welcome N3 as our newest tenant at the West Virginia Regional Technology Park. The investment they have chosen to make in West Virginia will not only bring well-paying jobs for college graduates to our area but also support a region-wide culture of innovation and entrepreneurship. “Their decision to launch operations here speaks volumes of the quality of our facilities. But, more importantly, it serves as a reflection of the caliber of our workforce and the knowledge, skills and abilities of our recent college graduates. N3 jobs will go to four-year college graduates, and preliminary recruiting has already begun. “As companies like N3 will attest, supporting the educational attainment of our state’s citizens is essential to attracting quality employers and fueling economic development and innovation. 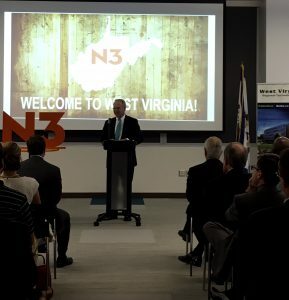 Our colleges and universities have been at the forefront of our state’s efforts to revitalize our economy and support the development of cutting-edge industries, such as N3, here in the Mountain State. “We know that educating West Virginians for the jobs of today and tomorrow will require a focus on critical thinking, technical skills and an entrepreneurial mindset. So, I am proud to say that in recent years, our public higher education system has been producing record numbers of college graduates — and we are committed to doubling the number of degrees awarded annually by 2025. Media note: The West Virginia Higher Education Policy Commission serves as the landlord for the West Virginia Regional Technology Park. The Park is a not-for-profit private corporation and is governed and managed by a board of directors, of which Dr. Hill is a member.